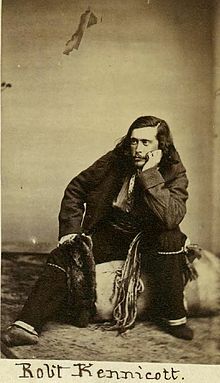 Robert Kennicott was born in New Orleans on November 13, 1835. In April 1859, supported by the Smithsonian Institution, the Audubon Society of Chicago, and the Hudson’s Bay Company, he set off on an expedition to collect natural history specimens in the subarctic boreal forests of northwestern Canada in what is now the Mackenzie and Yukon river valleys and in the Arctic tundra beyond. Hudson’s Bay Company fur traders in the area liked him and so Kennicott encouraged them to collect and send natural history specimens and First Nations artifacts to the Smithsonian. 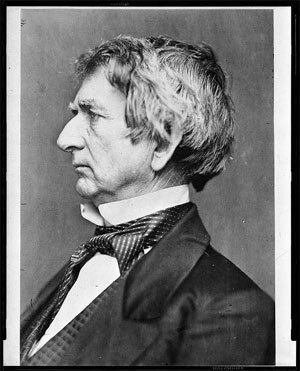 He returned to Washington at the end on 1862. With the Civil War in full play in 1862-64, Robert and his younger brother lived in the Smithsonian Castle along with Edward Drinker Cope and other noted naturalists. He traveled across the Unalakleet portage to Nulato over the winter of 1865-1866 with Charles Pease and 2 Canadians, Frank Ketchum and Michael Lebarge. In 1866, Kennicott failed to reach Fort Yukon, where he expected to meet another party from the Frazer River. One story says that this failure so preyed on his mind that he took a dose of strychnine. Other reports state that he died of a heart attack, but in any event we know he died on May 13, 1866. His remains were returned to the Kennicott Family plot in Glenview, Illinois at The Grove, which is a National Historic Landmark. To commemorate his efforts on behalf of science, the Kennicott Glacier, Kennicott Valley, Motor Vessel Kennicott, and the Kennicott River were named after him. Alaska and its Resources by William Healey Dall; The Dyea Trail January 19, 1898; Wikipedia. 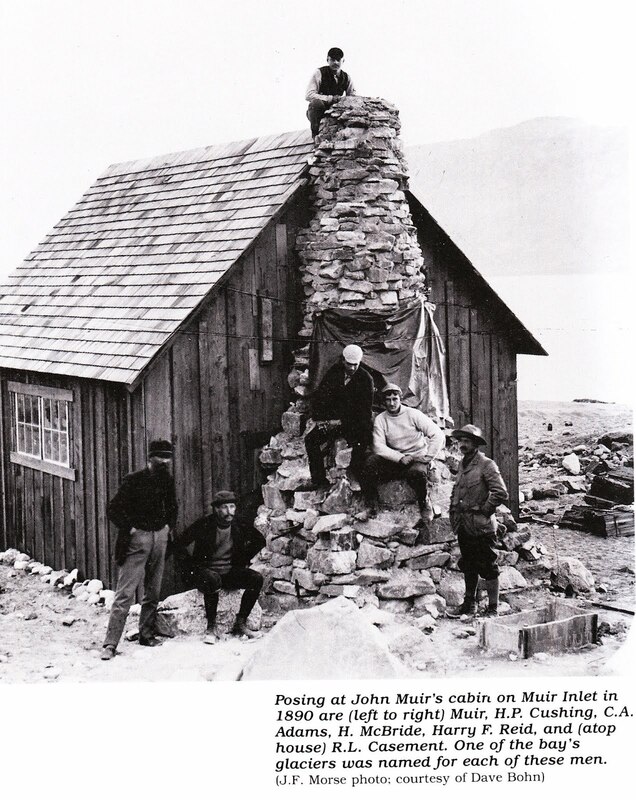 From July to September 1890 John Muir and his friends toured Glacier Bay. 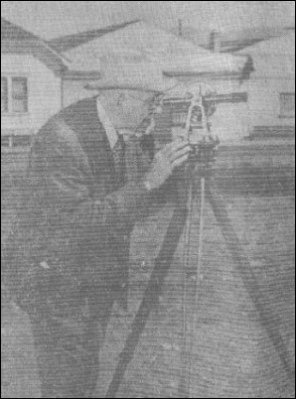 Dr. Henry Platt Cushing did the meteorological, geologic and botanical studies on the trip. He was a prominent geologist who taught at Western Reserve University . He was joined by his collegue Dr. Henry Fielding Reid of the Case School of Applied Science in Cleveland, Ohio. (Today these two universities are combined to be Case Western Reserve University). Comfort Avery Adams, who had just graduated from Western University with a degree in mechanical engineering and later taught at Harvard for 45 years in electrical engineering. R.L. Casement of Plainesville, Ohio. Mr. James H. McBride later physician at CalTech. 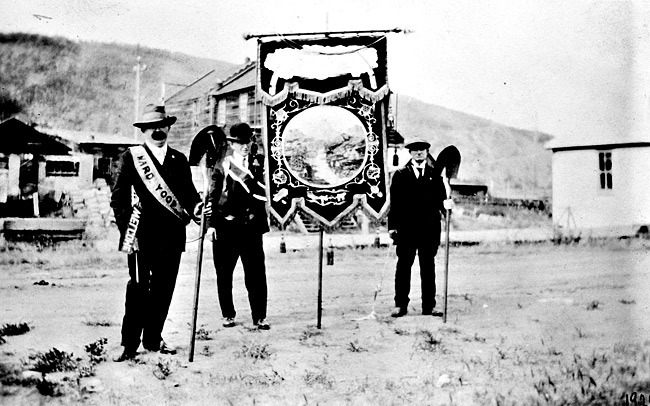 John F. Morse (presumably taking the photo) who later was a physician in San Francisco, but died at the age of 40 in 1898 there. In 1890 Muir’s health was poor and he suffered from snow blindness. He expressed irritation with the “stream of tourists habitually snapping their Kodaks and asking naive questions, and with the haste at which they ceased gazing at glaciers whenever a dinner bell sounded.” However, like many tourists today, Muir returned to Glacier Bay in 1899. All of his friends later had glaciers named for them. Mosier was born in 1866 in Des Moines Iowa. He attended Iowa State School of Engineering at age 16 and graduated in 1885 at age 19. He worked for railroads in Iowa until he moved to Seattle in 1888. The Seattle Lake Shore and Eastern hired him to work on the route near Snohomish. He went to Alaska in 1896 to report on a disputed waterway, but got involved with the gold rush and stayed, surveying from White Pass to Skagway, working for Captain Gaillard (who we looked at a couple of days ago). The route that the White Pass & Yukon Route Railroad takes today is a result of his survey in 1897. 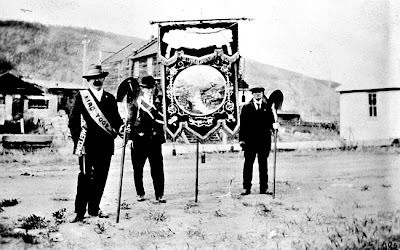 In 1898, Mosier went to Dawson by way of St. Michael and the Yukon and spent ten years in the Klondike and adjacent territories, making his mark as one of the most successful drift miners in the region. 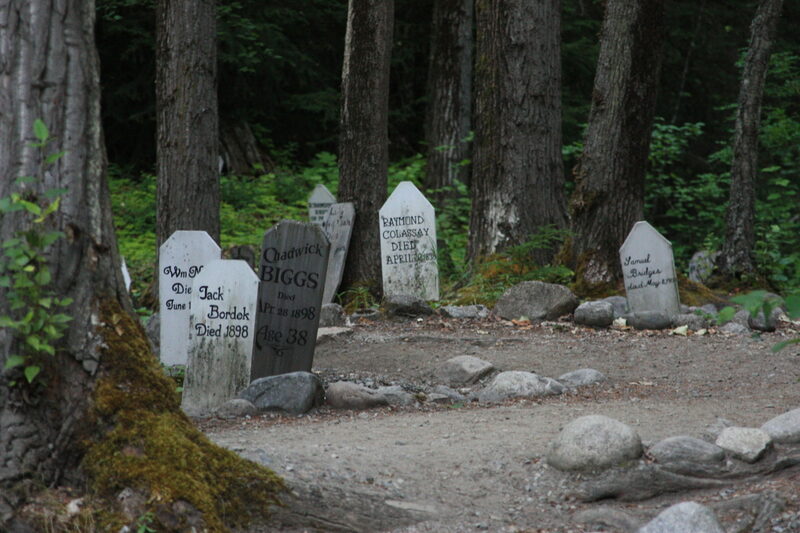 He returned to Washington in early 1924 just before his wife died, and he never returned to Alaska. Albert was a U. S. Deputy Mineral Surveyor and a U. S. Deputy Surveyor in Alaska in 1914. He died on this day, December 8, 1955 in the town that he platted: Sedro Wooley, Washington. Seen above in his 80’s still using his surveying equipment. 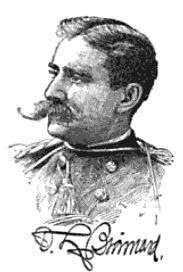 Skagit River Journal website; glosurveyorsnotes.pdf; webpage on him as Washington pioneer.